What’s the Moon Made Of? Earth, Most Likely. Recent research on lunar samples has shown that the Moon may be made of more Earth than green cheese — if by “green cheese” you mean the protoplanet impactor that was instrumental in its creation. 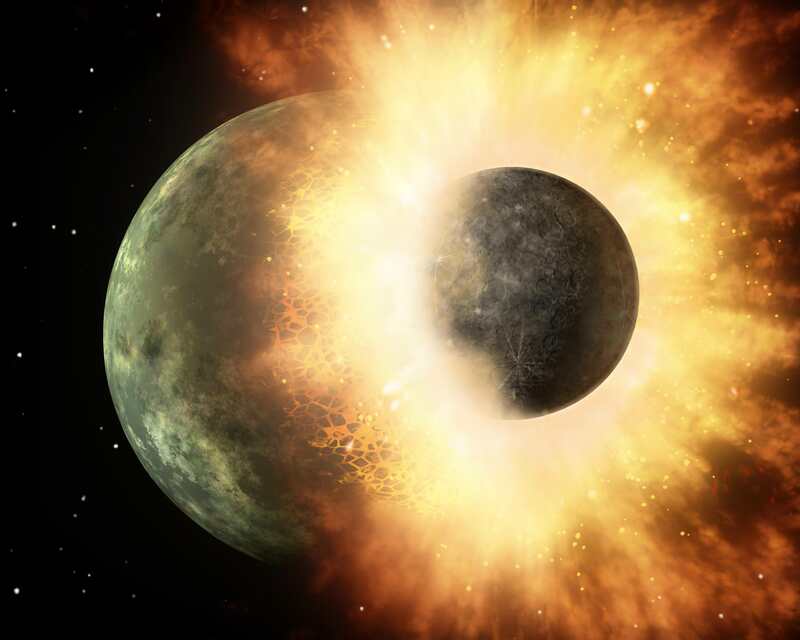 It’s an accepted hypothesis that Earth’s moon was created during an ancient, violet collision between our infant planet and a Mars-sized world called Theia, an event that destroyed Theia and sent part of Earth’s crust and upper mantle into orbit as a brief-lived ring of molten material. This material eventually coalesced to form the Moon, and over the next 4.5 billion years it cooled, became tidally locked with Earth, accumulated countless craters and gradually drifted out to the respectable distance at which we see it today. Theia’s remains were once assumed to have been a major contributor to the material that eventually formed the Moon. Lunar samples, however, showed that the ratio of oxygen isotopes on the Moon compared to Earth were too similar to account for such a formation. Now, further research by a team led by scientists from The University of Chicago shows that titanium isotopes — an element much more refractive than oxygen — are surprisingly similar between the Moon and Earth, further indicating a common origin. “After correcting for secondary effects associated with cosmic-ray exposure at the lunar surface using samarium and gadolinium isotope systematics, we find that the 50Ti/47Ti ratio of the Moon is identical to that of the Earth within about four parts per million, which is only 1/150 of the isotopic range documented in meteorites,” wrote University of Chicago geophysicist Junjun Zhang, lead author of the paper published in the journal Nature Geoscience on March 25. If the Moon is more Earth than Theia, then what happened to the original impacting body? Perhaps it was made of heavier stuff that sunk deeper into the Moon, or was assimilated into Earth’s mantle, or got lost to space… only more research will tell. But for now, you can be fairly sure that when you’re looking up at the Moon you’re seeing a piece of Earth, the cratered remnants of a collision that took place billions of years ago. See the team’s paper here. I heard this story about a wandering gasgiant that decided to go for a strawl. Who knows, maybe earth had a close encounter with it and broke in pieces. Well if you want to claim such a thing then be prepared to back it up with scientific evidences. Start with something obvious, how close must such gas giant come in order to make something like Earth break up? How strong would the tidal forces need to be in order to break up Earth? Now fill in the numbers, mass and distance of your choice and tell me what you get. That said, maybe it was a massive chunk of radioactive uranium – I hear there’s loads of the stuff around the mantle. I’m sorry, if Theia formed in the vicinity of Earth’s L4 or L5 point, 60 degrees fore and aft, wouldn’t it consist of essentially the same material as the proto-Earth? But how do they know it was called Theia? That’s proof that NASA is hiding aliens from us! Interesting. I’ve been always curios about what’s the moon made of. Now I have another curiosity, who made the Universe after all? Were there people years, thousands of years on the moon? Were there people on the moon? Tons of questions, but the answers are few. “were people on the moon”. Otherwise, I bloody well don’t know what you’re talking about. I am very curios how many people were on the moon. I really think there is more than we already know. I think there is a conspiracy all over. I think they already have a base on the moon. Probably they will tell everyone after they need enough workers to work on the Moon to make it public. We are so evolved, it’s nearly impossible someone not to profit on the Moon resources. Nearly impossible. Curios what others have to say about it. It drives me crazy and curios. Don’t you mean “what” made the universe? So no “who” or even likely a “what”. It likely just is. Love your answer. Again, never thought I’ll receive so many cool answers around (so I’ll be regular around). My thinking is that the Universe is just a 1, not a 0. I think it’s either a coincidence or a mistake. Or probably just a small atom in another universe or another alien body. But, it’s nearly impossible that this sum of universes, this multiverse to come out of nothing. A flash or something made it. Maybe nothing. I want to understand infinity, but my brain can’t. 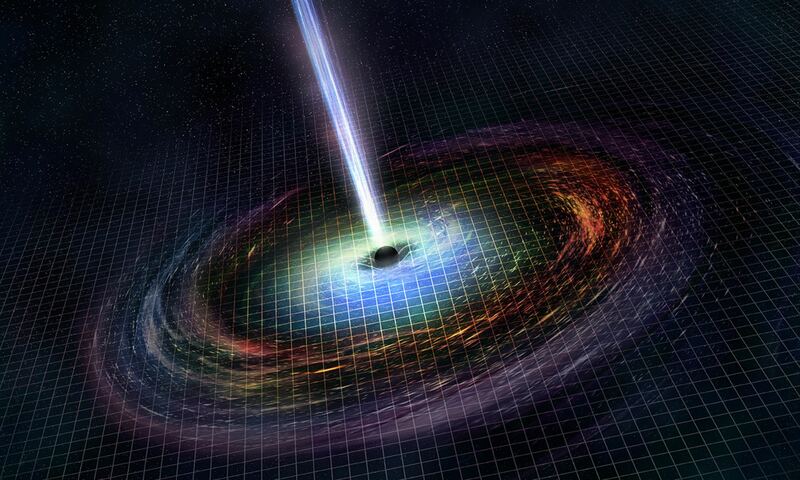 Maybe math formulas can, but I guess our math is not perfect, neither the whole multiverse works on the math we know. In our math 1+1 = 2, but this does not solve the fact we are a 1, not a 0, so our math is wrong. Our math is simple, logic, made by our simple minds, minds living in a 3 d universe, not in a N D multiverse or whatever levels it has. Am I wrong thinking that one cannot understand something it’s not real? Something that doesn’t even exist? The multiverse does not exist in our universe or our reality that we can understand. It’s on a different dimensions, or on a different level. So what’s the universe really? What made it? But, better question, what made EVERYTHING? What made it start or finish? Good questions? Sorry if I wrote to much, curiosity. – Jacob Abbot (1803-79), American Author. unexpected questions of a child than the discourses of men. – John Locke (1632-1704), English Philospher. Hope these thoughts of great men our of a little encouragement. You have some good questions. Personally I find the notion that the earth and the moon are made of essentially the same stuff completely unsurprising. For a start, as Shootist says both Earth and Theia formed out of the same dust cloud at around the same time. Then we whack both bodies together hard enough that a substantial portion of the Earth is blown into orbit. Presumably much of Theia suffers the same fate. The debris then either falls back to Earth or goes to form the moon. Which it could do as either a completely new body or it could form around the remnants of Theia. Either way the crusts of the two resulting bodies are formed out of the combined debris from Earth and Theia. And if Theia was a “Mars-sized world” then, since Mars outweighs the Moon by a factor of over 7*, a lot of Earths crust is actually made of Theia. Seems to me that the collision would have been so violent and thorough that the compositions of the Earth & Moon both represent a uniform mixture of what had previously been separate compositions of proto-Earth and Theia. Just read “violent collision”, ok? I was told once this is a weblog page only rather than the page of a book in astronomy. Fair enough. – That the impactor may have equilibrated with Earth has been the most recent explanation, offered in my astrobiological books. * This modeling yielding low velocity impact is btw something Earth-Moon share with the even more twin like Pluto-Charon system. Next PostNext Is This Proof of Life on Mars?